Zeuhlish Kobaïan speaking freaks here ,following the excellent tradition of Magma, Weidorje ,etc.The line up is:Bernard Paganotti: bass, vocals,Bertrand Lajudie: keyboards,Francois Laizeau: drums,Klaus Blasquiz: vocals, percussion,Eric Seva: saxophone. Magnificent album touching the edge of greatness. 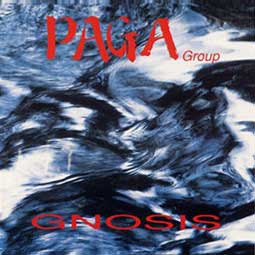 Do you have the paga album haunted. beau travail que ce blog! A l'image de cet album!mekaniquement votre. Aaaah... after so many years of looking for it, it's here! Thank you so much!